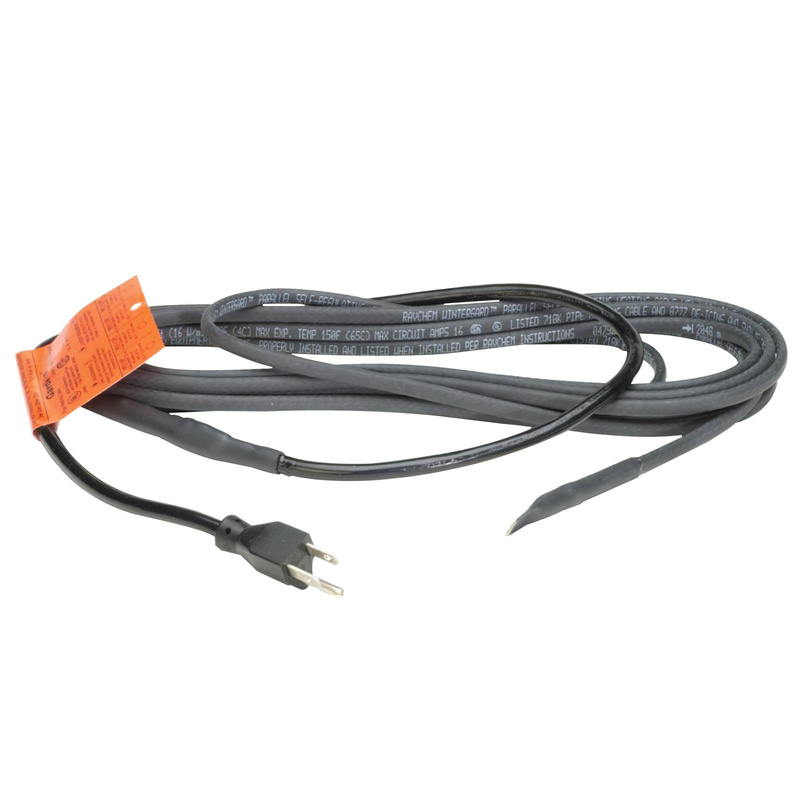 Pentair Raychem Gardian Heating cable of length 50-ft, comes with 30-Inch power cord and plug. It has current rating of 15-Amps and voltage rating of 110 - 120-Volts. This cable has wattage of 300-Watts at 40 deg F on pipe and 400-Watts in ice and snow conditions. It features size 16-AWG conductor, 5/8-Inch bend radius, tinned copper braid and polyolefin jacket. Cable measures 0.42-Inch x 0.22-Inch. This cable is suitable for residential and commercial metal and plastic pipe freeze protection and roof & gutter de-icing applications. It withstands temperature of up to 150 deg F. This cable is perfect for smaller jobs such as roof and gutter de-icing on porches and overhangs. It provides pipe freeze protection on pipes up to 2-1/2-Inch Dia. Heating cable is CSA/cCSAus certified.